What’s Coming in Sage CRM 7.2? – The Sage CRM Blog – User Community – Sage CRM Community. Sending out welcome packs, gift coupons and other marketing material. This is true of most CRMs I have come across- Microsoft Dynamics, Sage CRM, Sage Saleslogix CRM and a couple of others. I was very impressed with what Orbis Software’s TaskCentre solution could achieve so easily and at a very affordable price. We are very excited about TaskCentre based on some of the discussions and walk through’s we have done for our prospects. Here is a link to their page on Business Process Management (BPM) Software for CRM Applications. You can download some cool white papers as well. Award winning Sage CRM from Sage UK, is now available on YouTube. Another great example of a B2B business adopting Social Media Strategies. Search YouTube for ‘Sage CRM’, and you will get a range of videos starting from Demo, overview, Outlook Integration, MS Exchange Integration and more. 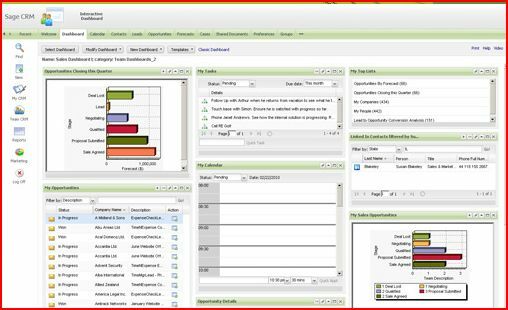 Here is a 10 minute overview of Sage CRM 7.0.